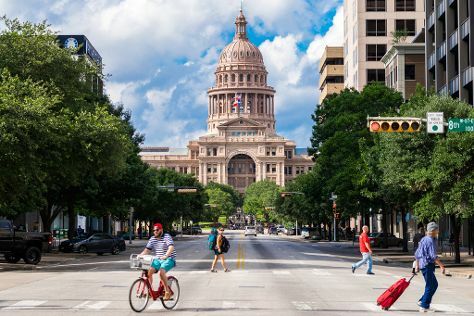 Change things up with these side-trips from San Antonio: Barn Pottery (in New Braunfels) and Texas State Capitol (in Austin). There's still lots to do: explore the fascinating underground world of Natural Bridge Caverns, contemplate the long history of The Alamo, take a stroll around Tower of the Americas, and pause for some serene contemplation at San Fernando De Bexar Cathedral. To see reviews, maps, ratings, and more tourist information, refer to the San Antonio trip itinerary tool . Expect a daytime high around 70°F in February, and nighttime lows around 48°F. Finish your sightseeing early on the 17th (Sun) so you can travel back home.